The Hand Held 3800gPDF has been renamed to the Honeywell 3800gPDF. 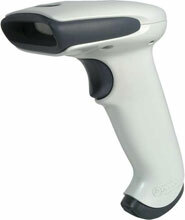 The Hand-Held 3800gPDF features an ideal balance of performance, durability, ergonomics, and connectivity that make it a reliable and user-friendly solution for a broad range of light industrial environments including retail, manufacturing, government, healthcare, and distribution. Powered by Adaptus Imaging Technology 5.0, the 3800gPDF delivers high-performance linear barcode scanning across a range of barcodes - including those that are damaged or poorly printed. 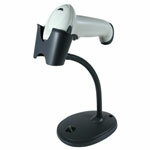 Combined with intuitive PDF417 reading functionality, the 3800gPDF offers versatile, yet economical scanning capability. 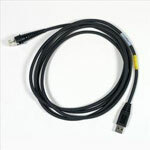 3800gPDF, Decoding Linear Imager (Keyboard wedge, TTL RS-232 and USB) - Color: Ivory. Cables not included. See accessories.